The Ascott Limited (Ascott) and the Food, Drinks and Allied Workers Union (FDAWU) yesterday signed a Memorandum of Understanding (MOU) to form a ‘Company Training Committee’. The committee, comprising union representatives and Ascott management, will help design employee training programmes to equip Ascott employees with skills needed to keep up with industry transformation. It will identify jobs that are likely to be disrupted due to industry transformation and jobs that will be created in new business growth areas; and map out new skills and competencies the employees need to take on new or redesigned jobs. At the same time, the committee will find relevant training to help employees embrace change, leverage technology such as the use of robotics or artificial intelligence and adapt to the new job roles. 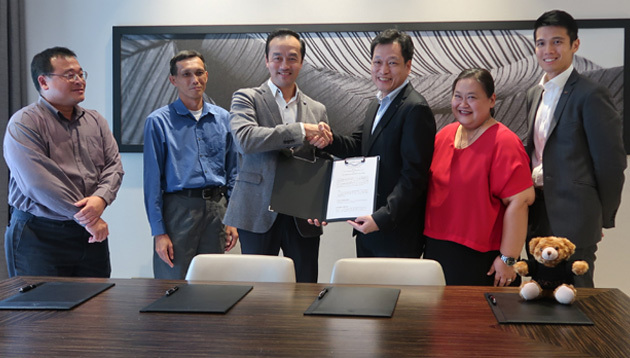 The signing of the MOU on the jobs and skills training partnership between FDAWU and Ascott was witnessed by NTUC’s Deputy Secretary-General Koh Poh Koon, who later took a tour of Ascott Orchard Singapore. Ervin Yeo, Ascott’s Regional General Manager for Singapore, Malaysia & Indonesia, said: “Ascott’s training partnership with FDAWU is one of the ways we are proactively upskilling our employees to prepare them for the future economy. We will work with the union to ensure our staff are equipped with relevant skills. In addition to training by ACE, Ascott’s Company Training Committee will tap on the extensive network of resources from training partners like NTUC LearningHub, NTUC-initiated Hospitality ABC Network, NTUC’s e2i (Employment and Employability) as well as agencies like Singapore Tourism Board (STB), SkillsFuture Singapore (SSG) and Workforce Singapore (WSG), to create an eco-system that supports the learning and development of employees in Ascott. A first in the hospitality industry, this partnership echoes the Labour Movement’s strategy of transforming workers in tandem with industry transformation through the ground up efforts of Company Training Committees. FDAWU’s collaboration with Ascott is built on Ascott’s commitment to learning, where employees are encouraged and given the support to attend at least 40 hours of classroom and/or online classes per employee yearly. The training partnership follows NTUC and Ascott’s earlier efforts towards building a future-ready hospitality workforce. In January 2018, ACE joined the NTUCinitiated Hospitality ABC Network to enhance the skills of hospitality professionals in Singapore. The Network aims to curate accessible and bite-sized training programmes for hospitality professionals to keep pace with the industry’s transformation and equip them to take on higher-value added roles.